I explored Vegas with some other folks. Here are a few more of them. 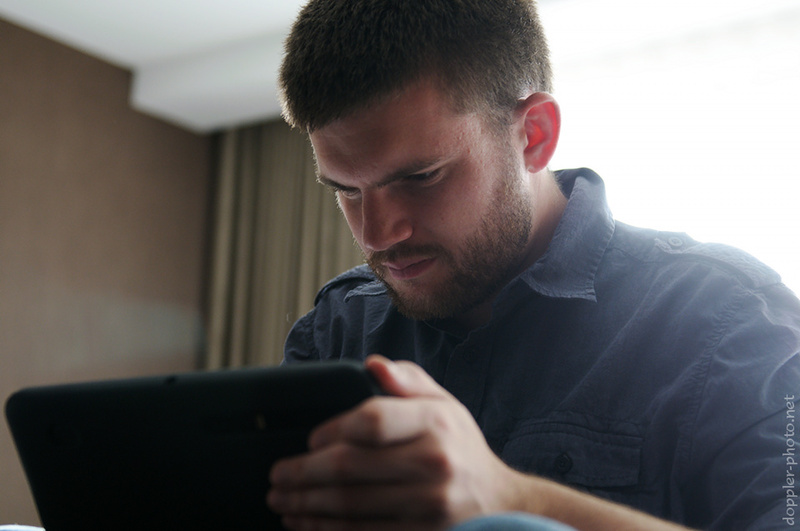 During another of our regroups, Eric whiled away the time by playing some Angry Birds Rio on his Xoom tablet. We had dinner Thursday evening at Bouchon, a French-style restaurant housed in the Venetian hotel. 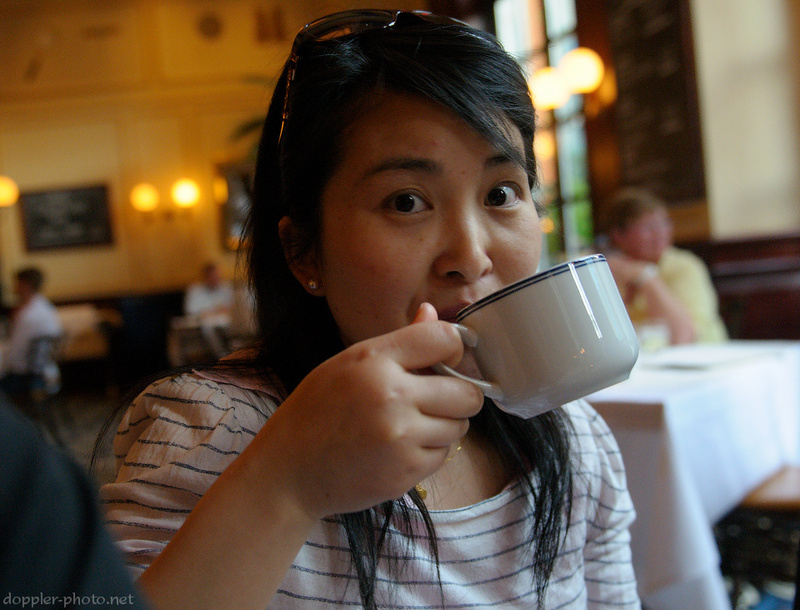 Here, Xia has some tea during dinner. 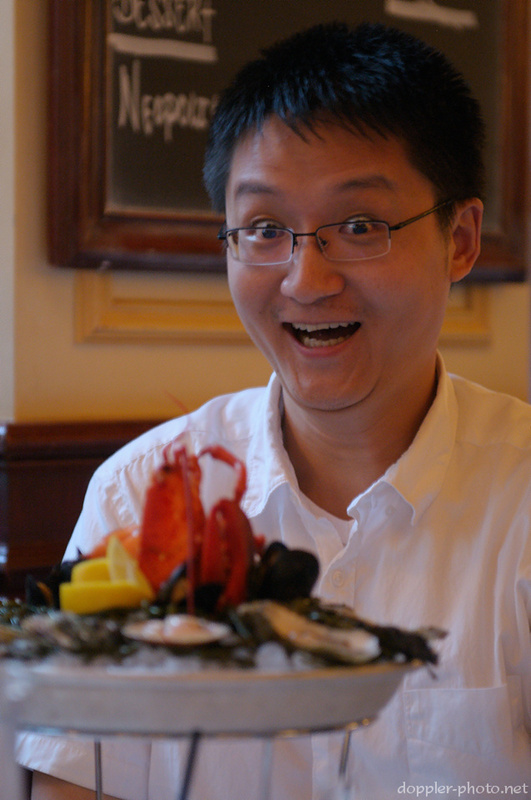 Guang makes a face before diving into his seafood platter. People split into smaller activity groups for Friday afternoon. 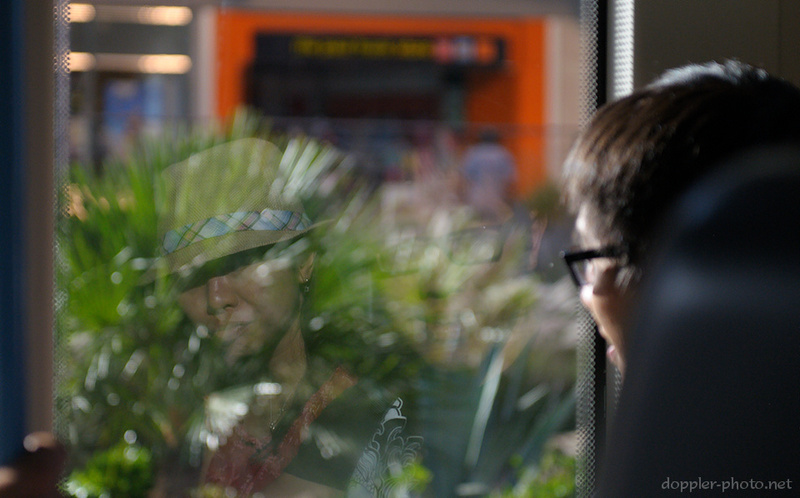 Above, Emily (left, reflected) and Tsu (right) look out of a bus window as we ride it to the outlet mall at the end of the line.